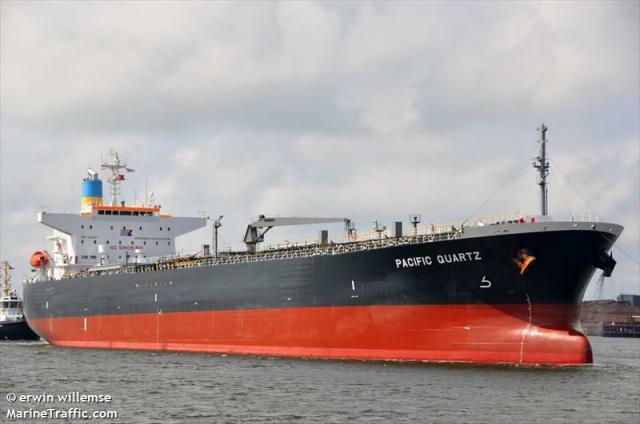 The 180 meter long, 47941 dwt oil tanker Pacific Quartz ran aground in the harbour at Durban, South Africa. The tanker was proceeding with two pilots when it struck bottom off the North Pier in heavy swells reaching 6 meters in height. The Pacific Quartz sustained damage to a ballast tank on starboard side resulting in water ingress. No reports of injuries, damage or pollution released. The South African Maritime Safety Authority has launched an investigation into the incident.